Want your tweens and teens to catch the Spirit of Christmas this year? Help them plan their own Christmas service project with their friends. Christmas is an exciting time for kids—often because they are looking forward to what they are going to find under the tree on Christmas morning. 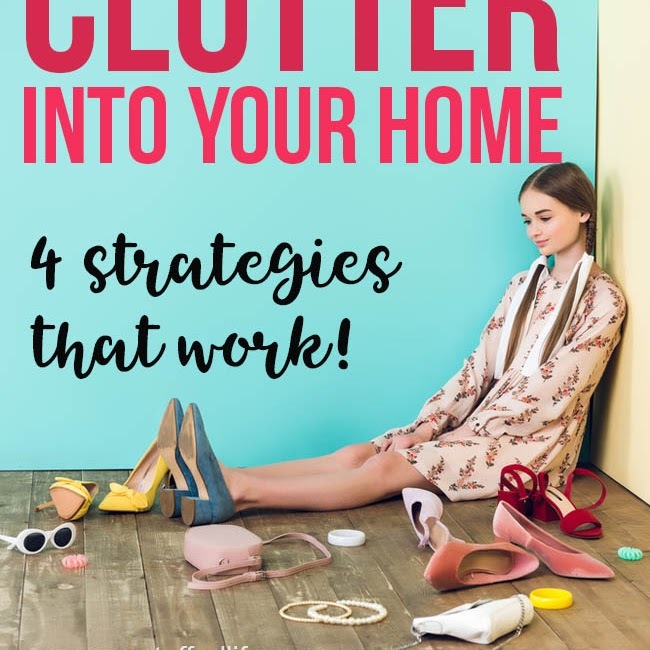 While I do love spoiling my children at Christmas, I don't want their entire focus to be on themselves. I want them to learn the joy of giving to others, too. Each year we try to participate in at least one service project for those who aren't as fortunate as we are, and it has been something my girls really look forward to doing. We are loving the #LightTheWorld ideas for service. If you go to the website it lists 25 ways to serve others this Christmas season, and even has a calendar and other tools to help you plan your own service projects. 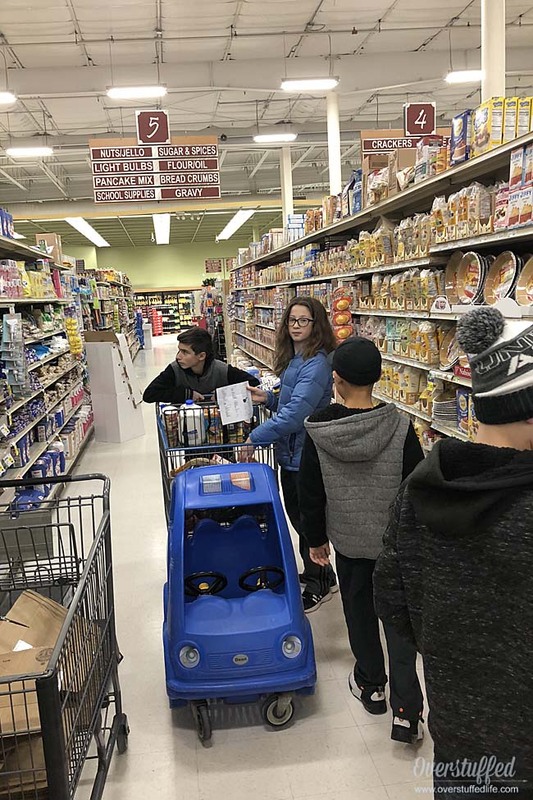 This year, my youngest daughter is in her first year of middle school and I figured she was ready to take the lead on a Christmas service project. I asked her if there was anything she would like to do for a family in need this year and she took me seriously. 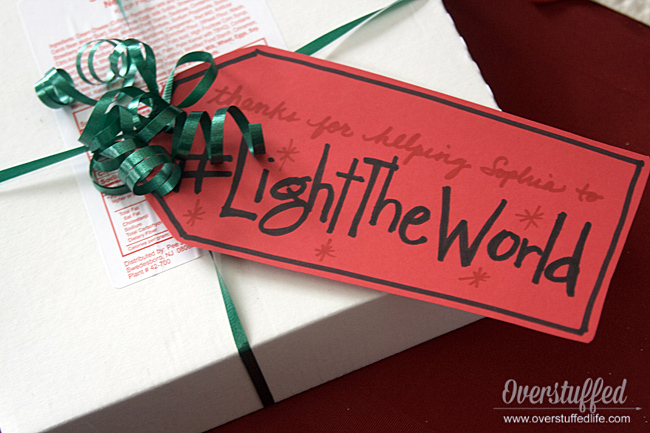 She came up with a wonderful idea to go along with Day 21 of #LightTheWord—Feed the Hungry. 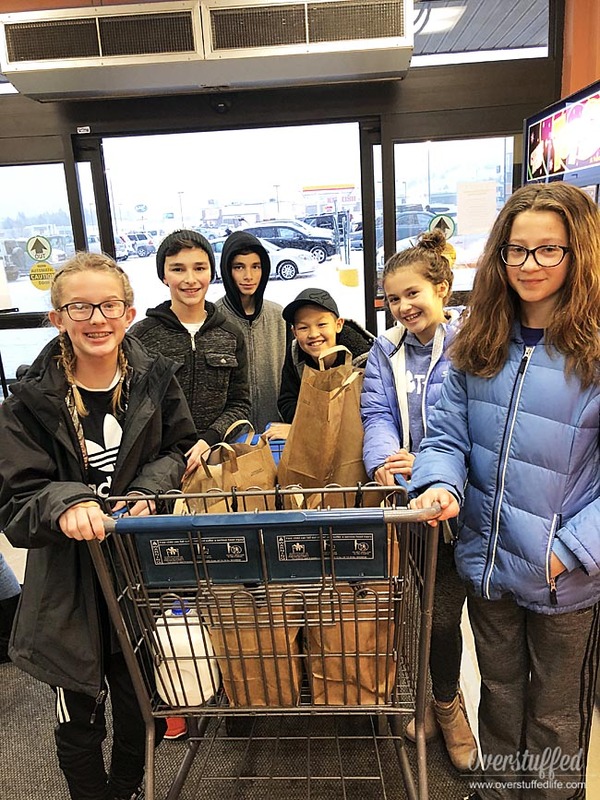 Sophia decided that she wanted to invite her friends to go to the grocery store with her to purchase food and then deliver it to a family in need. She pitched it to as many friends as we could fit in our minivan, and they were all on board and excited to do it. 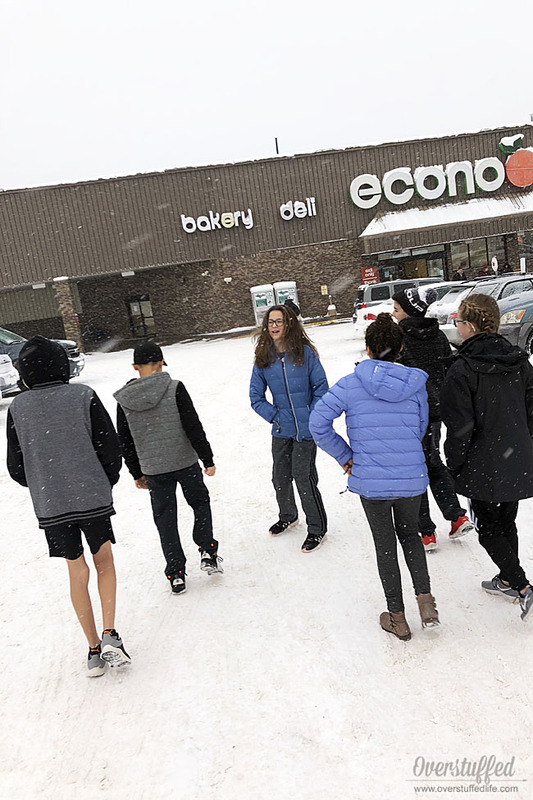 When the designated day finally rolled around, I picked everyone up from school and we drove to the grocery store. I handed them a list of things to purchase and told them what their budget was and let them get to business. I followed them around the store at a distance, and only helped them if they asked. It was awesome to watch them. Some were more budget conscious, but all of them really wanted to make sure they were being as generous as possible. 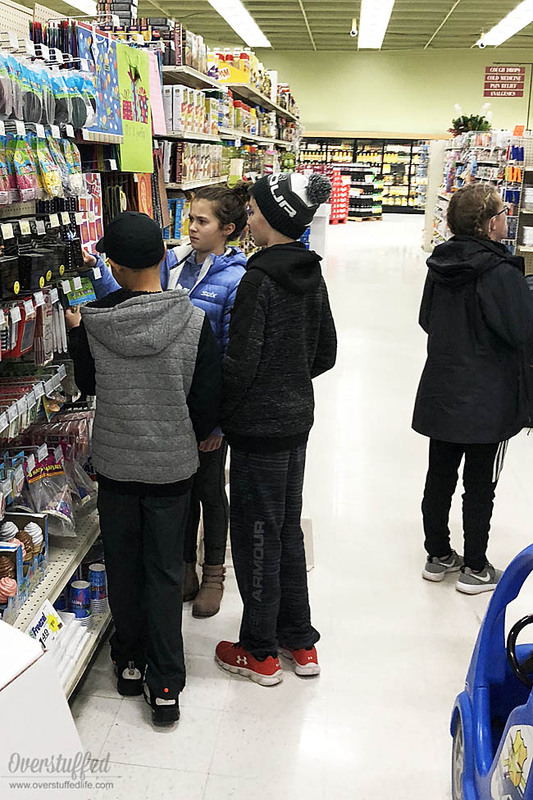 They all worked together to get the items on the list, paid attention to sale prices, and made decisions together about what they would purchase. They also had a lot of fun in the process. Right off the bat, they chose one of those kiddie car carts and pushed each other around in it. They drew a few looks, but it was also pretty clear that they were doing the shopping. More than one person remarked on my "army of helpers" as I followed them around the store. 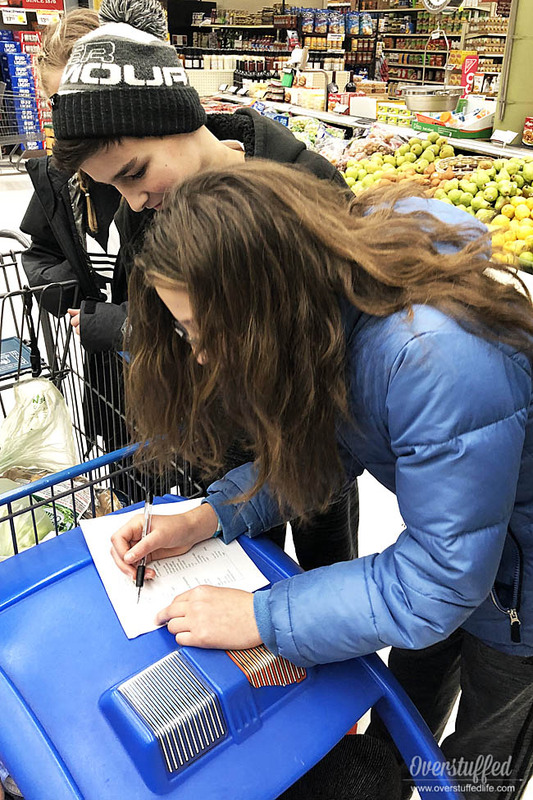 At the check out, one of Sophia's friends was sure we'd gone WAY over budget, so they decided to all guess at how much we spent (who knew this would turn out to be a lesson in food costs and keeping to budgets). As it turned out, they came in a bit under budget, but they were able to get quite a lot of food. 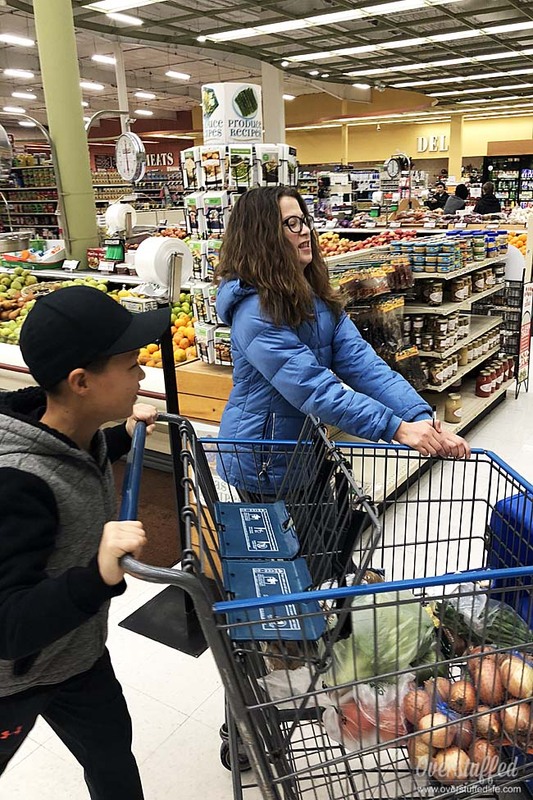 I had previously asked the Relief Society President in my branch for a recommendation on a family who could most use the groceries. Once we were all loaded up, we drove out to their home. The kids decided on the way there that they would like to sing a Christmas carol to them as we delivered the food, but nobody answered the door (even though we could see that they were home). We just decided to leave the bags inside their front door and leave after knocking several times. Just as we were driving off, we saw them come down to the door. After we were done delivering the food, I had a bunch of hungry 6th graders on my hands so they all came to my house for pizza and had a great time together for the rest of the evening. Once all the kids had gone back home for the night, I asked Sophia what she thought of it all. She said she felt really good about serving and she knew her friends had enjoyed doing the service project more than she thought they would which made her really happy. Well, I'm really happy that we all did that. Always makes a person smile when u do something good for someone. It feels so good to make someone's night like yesterday! Thanks! I think it's really nice that u thought of doing this. Thanks for inviting me! 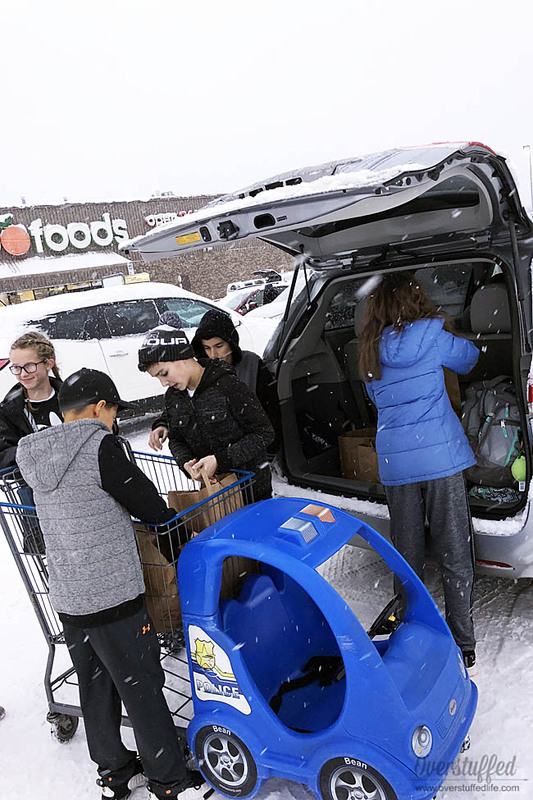 It does feel good to help others, and it was really cool to watch Sophia and her friends feel that as they participated in Lighting the World. I was proud of her for coming up with the idea and for wanting to include her friends. This is something they will hopefully remember for a long time, and I hope Sophia will want to do it again next year! 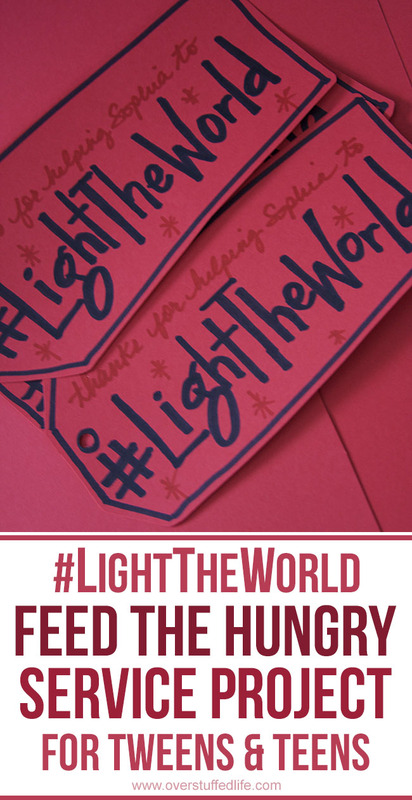 As thanks to her friends, we made some quick #LightTheWorld tags and sent each one home with a cheesecake—there's more than one way to feed the hungry after all! This post is in partnership with BonCom.